Forty years after the production of The Fenland (Le Brouck) comes a follow up about the Audomarois Fenland. 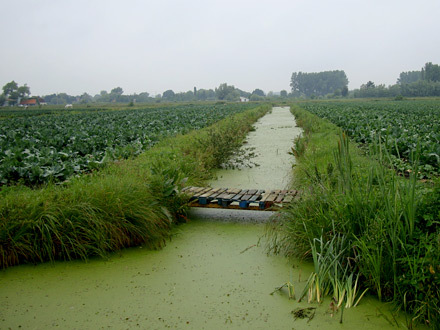 Set in the natural environment of northern France, criss-crossed with water ways, market gardening as well as breeding remain the only productive activities. Nevertheless, the number of fenlanders has seriously diminished from 200 farms in the 1970 to 40 in 2010. Other elements are now intervening such as ecology, preservation and development like the Natural Regional Park and the Romelaere Natural Reserve, or leisure activities like waterfowl hunting, fishing and tourism. Through images and words Return to the Brouck expresses this new reality, confronting the actors of the past - young fenlanders of the 70s - with the present. Juxtaposing the images of the past with those of 2010. The core of the film still remains, as in the 70s, the vivid problem of the present and the future of the Audomarois Fenland and its inhabitants. Devised and shot in close collaboration with a group of eight local fenlanders, young men and women who lived and worked as market gardeners in the area of Saint Omer, northern France, the film bears witness to a particular moment in time - a moment of recognition when these young agriculturalists, who belong to a relatively closed specific socio-economic group, asked themselves some hard practical questions about the social and economic problems facing their kind of agriculture. The film aims to be sociological to the extent that it reveals and fixes a moment of social change. But it takes care not to freeze this in an ideological or political analysis; it does not try to smooth over the positions they take, which are often contradictory yet all the more illuminating for that. 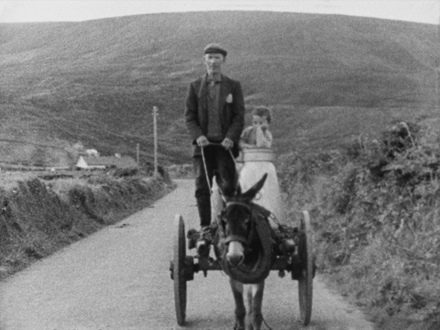 It was the young fenlanders themselves who chose the sequences to film and the themes to bring up in the discussions. These young people offered their views on the future of the Fenland, on aspects of trade unionism in agriculture and the possible options open to them. More than the commentary, which serves merely as introduction or to make a link, it is the discussions between the young people that really weave the film together.